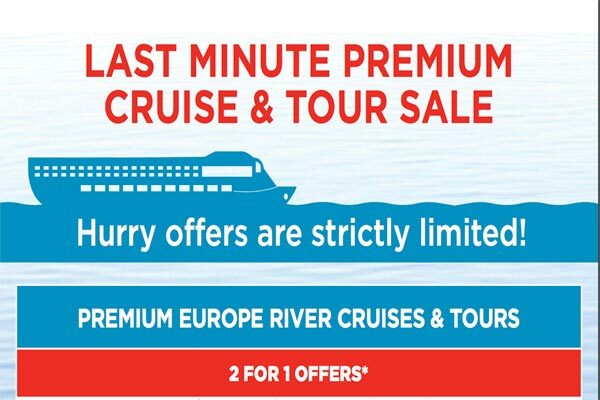 LAST MINUTE LUXURY & PREMIUM RIVER CRUISE SALE – 2 FOR 1 OFFERS! For those of you that have been clients of BlueSun Kimberley Boat Cruises for a while, this LAST MINUTE LUXURY & PREMIUM RIVER CRUISE SALE will not come as a surprise. BlueSun Travel is one of the very few cruise agencies that can offer these incredible deals on behalf of internationally known, Luxury and Premium River Cruise operators. But there is a “Catch 22”: we are allowed to post their deals online, but not all the details (names of vessels, cruise lines etc). These you can find out when you contact us for more information. If you want to learn more, simply email us or call 1300 799 758 now. The phone call is worth it!